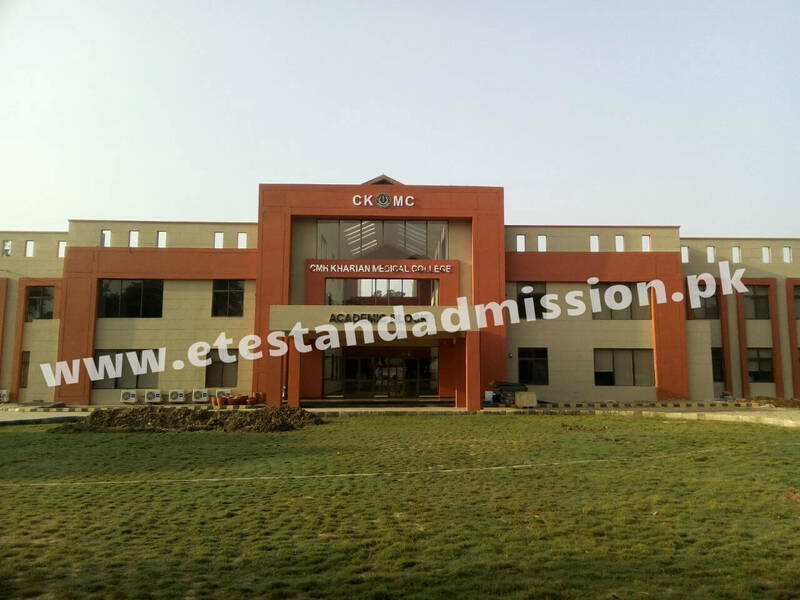 CMH Kharian Medical College, Kharian Admissions 2017. Kharian Medical College is established in the year 2017. CMH Kharian Medical College is located in the premises of Combined Military Hospital Kharian Cantt. Kharian City is located near Gujrat in Punjab. CMH Kharian Medical is under process of approval from Pakistan Medical and Dental College (PMDC) and the College is affiliated with National University of Medical Sciences (NUMS), Rawalpindi. At least 60% marks in Intermediate (Pre-Medical). Candidates must have appeared in NUMS / UHS / Provincial Entry. Foreign Candidates can apply on the basis of SAT-II. The SAT-II score should be equal to or more than 550 in three Subjects (Biology, Chemistry, and a Science Subject). SAT-II Score should not be more than 2 years.